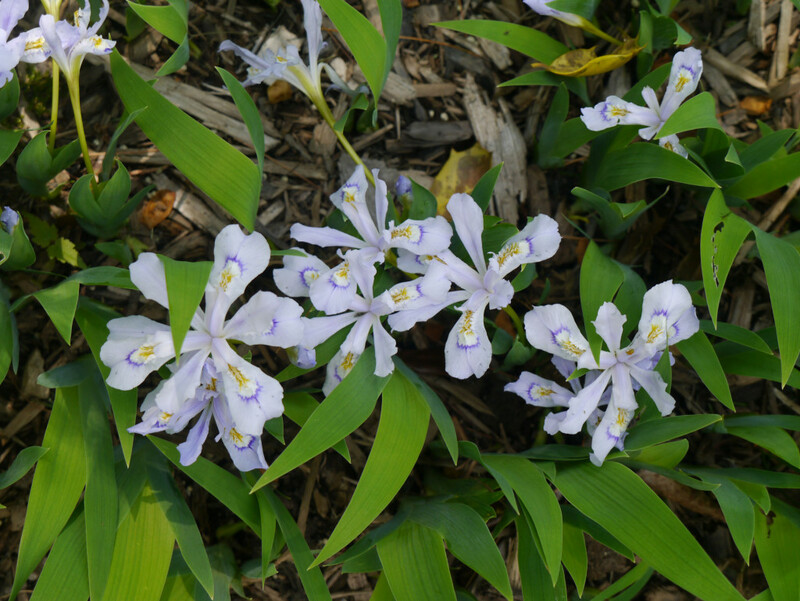 Dwarf crested iris (Iris cristata) is a native wildflower which blooms in the spring. 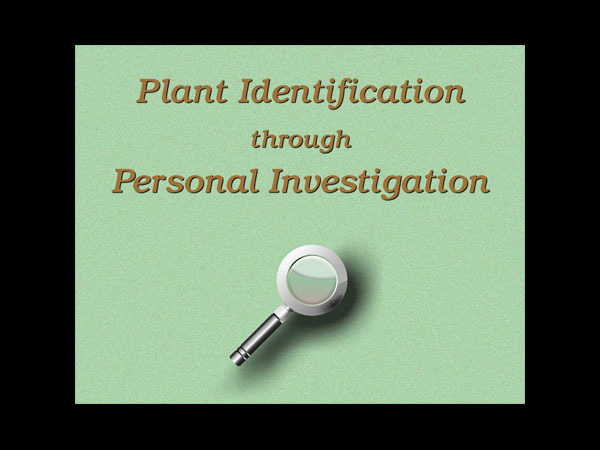 It grows in moist open woodlands in eastern and southern parts of the U.S. 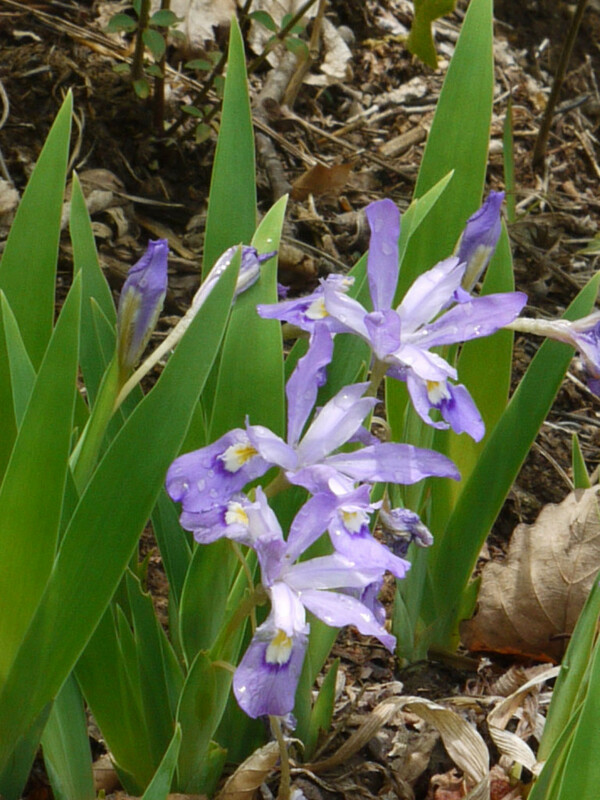 The short plant — in comparison to most irises — grows about six inches tall when it’s blooming. 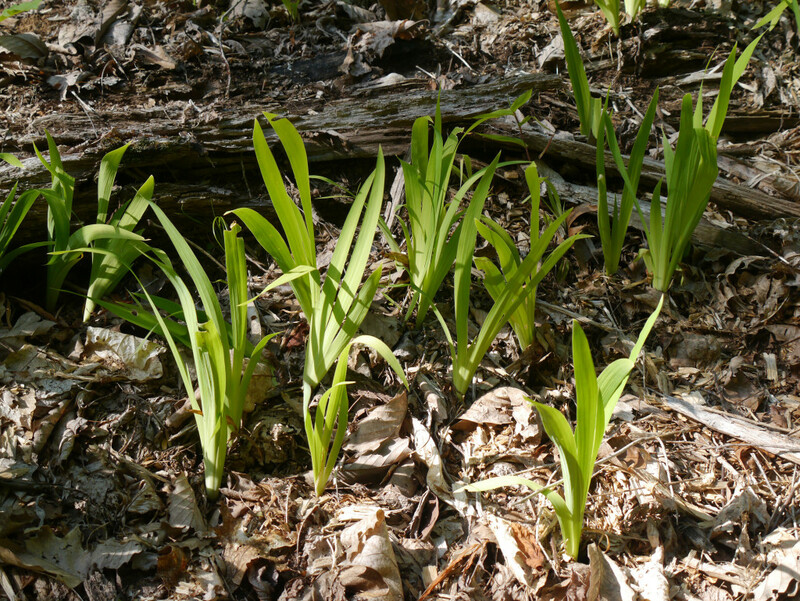 Later in the year, the leaves grow to about eight or nine inches high. Here’s a closer view of a group of flowers after a spring rain. 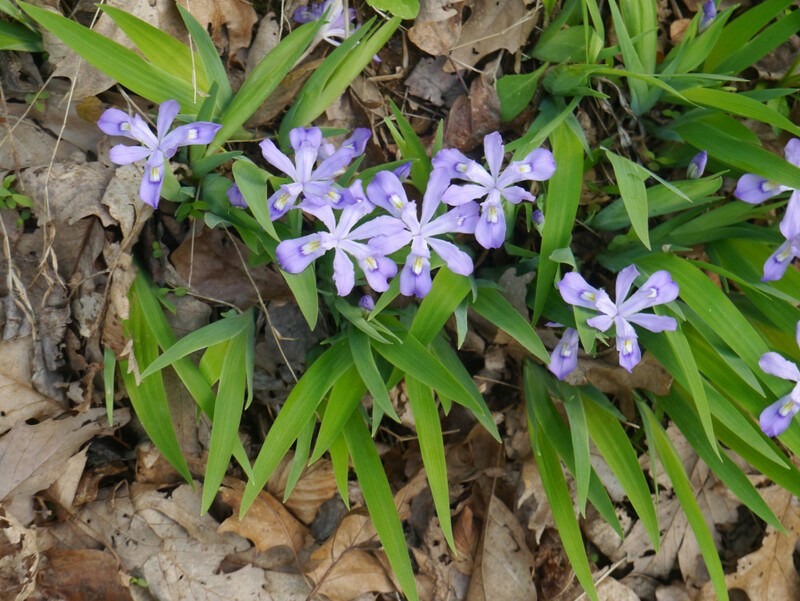 Although the flowers are typically purple with white and yellow highlights on the sepals, Dwarf crested iris may grow flowers which are almost white.